It takes a lot of energy to connect millions of viewers across the United States with the content they love. With a tech team of more than 620 Hulugans powering our library of 75,000+ on-demand episodes and a live TV service that ingests over 1000 streams daily, we’re always looking for ways to better our service for viewers while also reducing our impact on the environment. 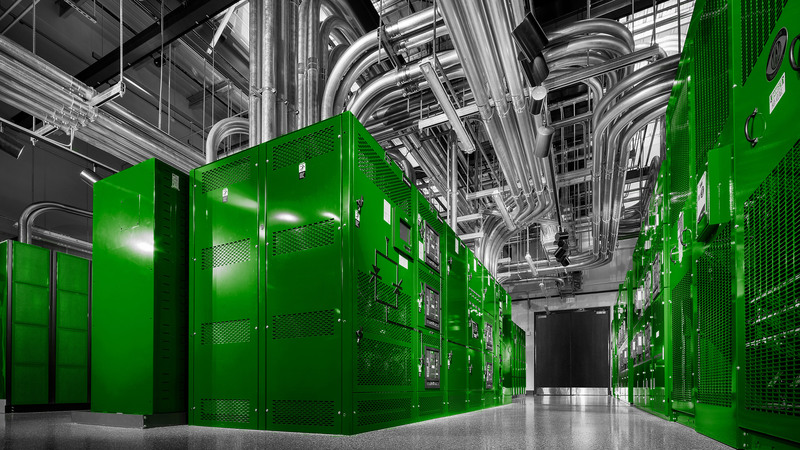 To accomplish this, Hulu is partnering with Switch, one of the largest renewable energy-powered data center providers, to migrate our existing data centers to a new renewable energy facility in Las Vegas. When we launched Hulu with Live TV in May, we migrated our live data assets to the public cloud platform through Amazon Web Services (AWS), with the remainder now being migrated to the Switch data centers. This move allows us to scale in a way that not only minimizes downtime for our customers, but also provides a stable, direct connection to AWS, allowing it to support the growth of our existing cloud platform. Our new, 100 percent renewable energy facility spans 2.4 million square feet across 12 buildings, providing the capacity of up to 55kW per rack. In addition, the Switch facility is located outside of a fault line in a Seismic Zone 1, ensuring that Hulu will remain operational even in the unlikely case of a natural disaster such as an earthquake. The migration will be complete in February of this year. Powering millions of stable and secure streams a week is no easy task. By moving our data center to a facility that eliminates 265,000 carbon tons of emissions from the environment (that’s equivalent to more than 50,000 cars off the road for a year! ), we’re able to ensure our viewers can reliably stream The Handmaid’s Tale or Monday Night Football while moving towards green and sustainable operations with our data centers.